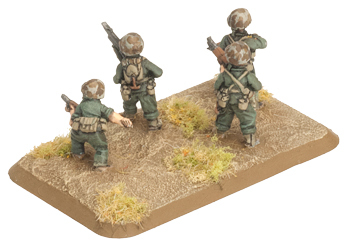 Equipped with a wide range of automatic weapons such as the M1 Rifle and M1918 Browning Automatic Rifle (BAR), the platoon could spearhead an assault landing or dig in to hold ground with equal assurance. 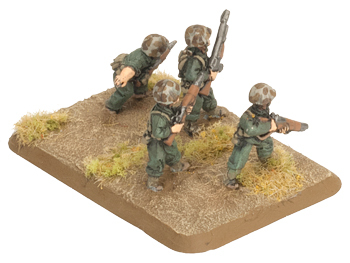 In 1944 Marine rifle squads were organised into three 4-man fire teams, each with their own BAR automatic rifleman. 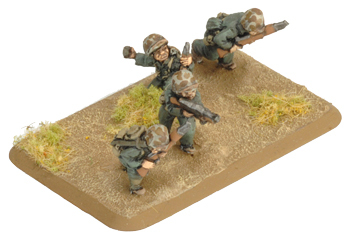 This increased the combat power and flexiblity of the squads, and platoon overall. 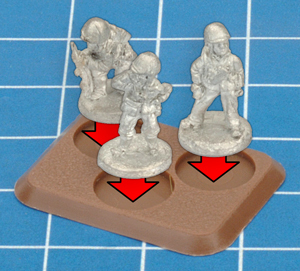 Note: The blister pack contains enough figures to create an additional command team, so two blister packs will provide everything you need for a Marine Rifle Company HQ (with a Company Command team and a 2iC team) and two full Marine Rifle Platoons – the compulsory units needed for a Marine Rifle Company. Semper fidelis (often shortened to Semper fi) is the motto of the United States Marine Corps. It is a Latin phrase that means ‘always faithful’ or ‘always loyal’. 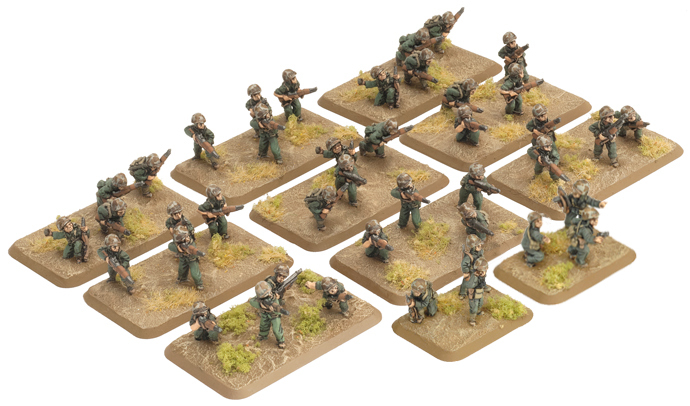 When Marine platoons test their Motivation to Counterattack in Assaults, you may re-roll the die and apply the re-rolled result to all Marine platoons that failed on the original roll. Around 1900 the Chinese described Marines in China as gung-ho. 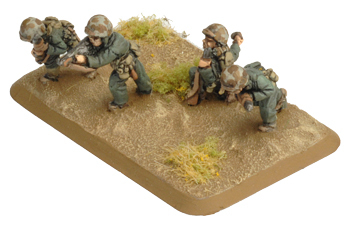 In Chinese, gung-ho means working together, as that is what the Chinese saw the American Marines always doing. Gung-ho conveys the Marines’ willingness to tackle any task and their commitment to the Corps. 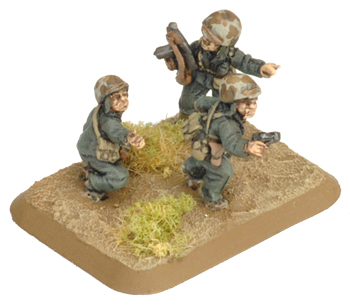 Marine platoons use the German Mission Tactics special rule (see page 242 of the rulebook). 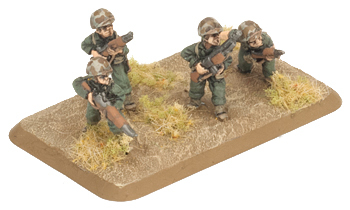 The US Army (and Marine Corps) are equipped with the M1 Garand self-loading rifle, M1 Carbine, and the Browning Automatic Rifle (BAR), giving their infantry intense short-range firepower and allowing them to maintain their rate of fire while moving. 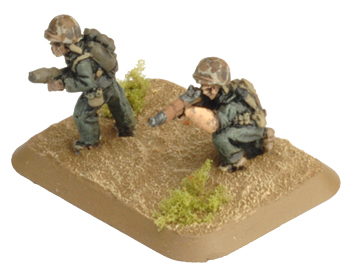 Rifle and Carbine teams do not suffer the usual +1 to hit penalty for firing a ROF 1 weapon while moving or Pinned Down. When not Pinned Down, Rifle and Carbine teams re-roll all failed rolls to hit in Defensive Fire during assaults. 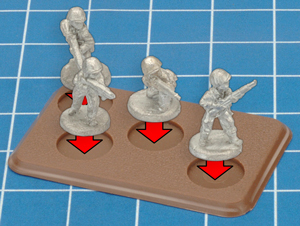 This blister pack contains enough BAR gunners for you to upgrade your Marine Rifle Platoon to BAR teams. 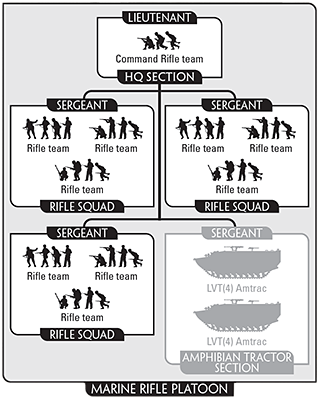 Remember, If any of your Marine Rifle Platoons have been upgraded to have BAR teams, then all of your Marine Rifle Platoons must be upgraded to have BAR teams. 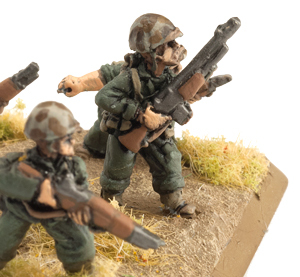 In 1944 the Marines increased the firepower available to their platoons by equipping each squad with three BARs (Browning Automatic Rifles). These formed the basis for each fire team. A moving BAR team can fire its full ROF, but adds a penalty of +1 to the score needed to hit. Before Shooting, a BAR team can choose not to use its full ROF and fire at its normal rate if that would give it a better chance. 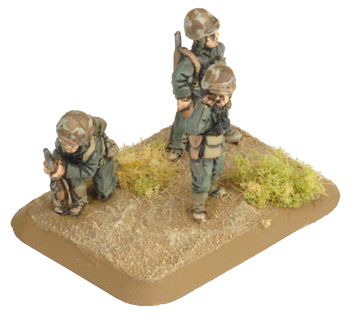 Rifle team 16"/40cm 1 2 6 Automatic rifles. 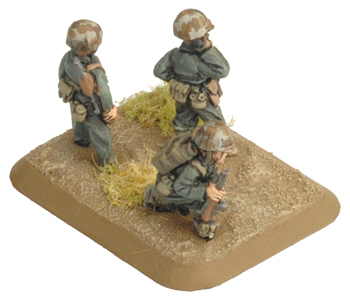 BAR team 16"/40cm 2 2 6 BAR Automatic rifles. 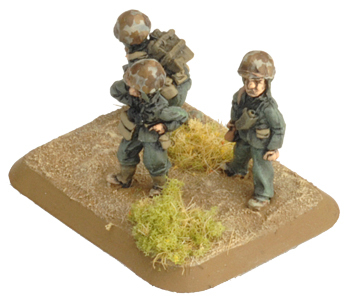 SMG team 4"/10cm 3 1 6 Full ROF when moving. 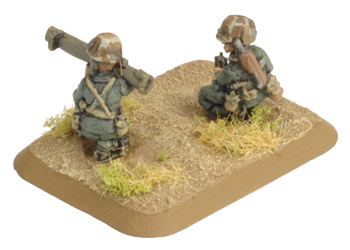 c. 1x Kneeling radio operator. 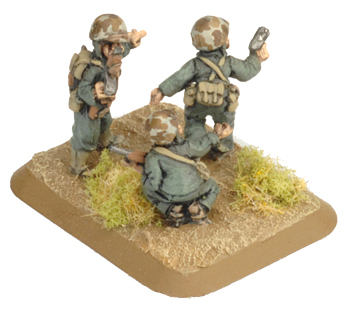 d. 1x Platoon command officer with pistol. e. 1x NCO standing with Thompson SMG. g. 1x Standing NCO gesturing with left hand. 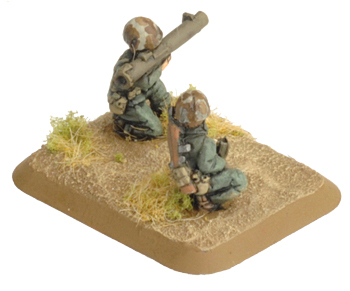 k. 3x Standing firing rifleman. 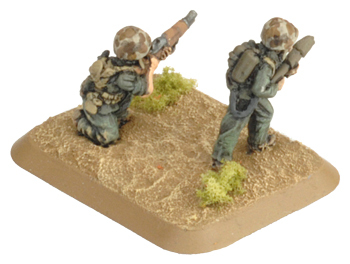 l. 3x Standing Marine firing Thompson SMG. 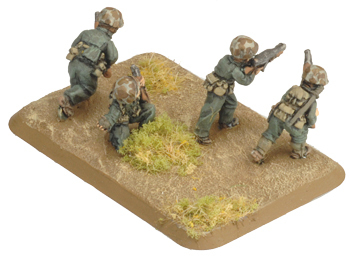 m. 3x Rifleman advancing. 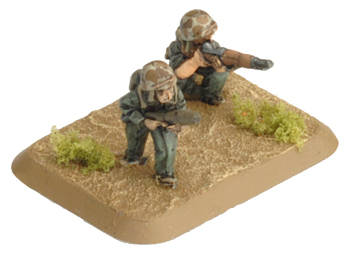 p. 3x Kneeling firing rifleman. q. 3x Rifleman throwing grenade. 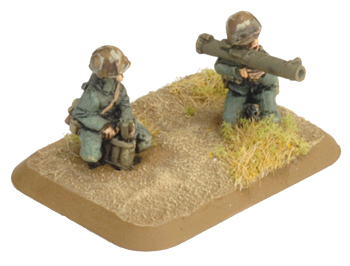 s. 3x Kneeling firing BAR gunner. t. 3x Standing BAR gunner. u. 3x Kneeling BAR gunner. v. 2x Small three-hole base. w. 9x Medium four-hole base. 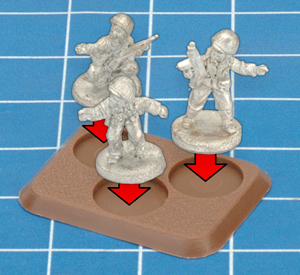 Place the company command officer (a), the standing officer (b) and the kneeling radio operator (c) on a small three-hole base. Place the officer with pistol (d), an NCO (e – h) and a riflemen (i – r) on a small three-hole base. 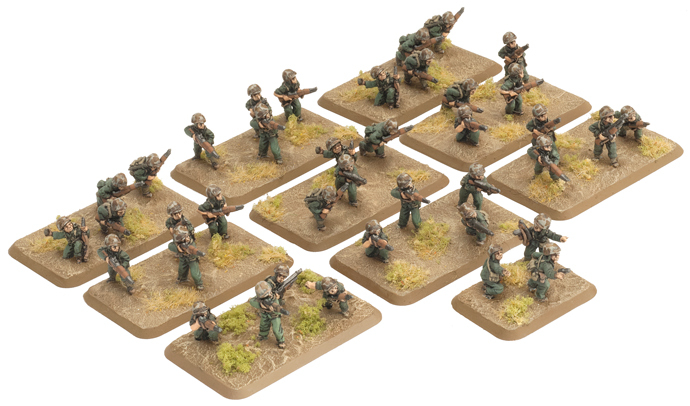 Remember, two blister packs will give you contains enough figures to create an total of four command team: a Company Command team, a 2iC team and two Platoon command teams. 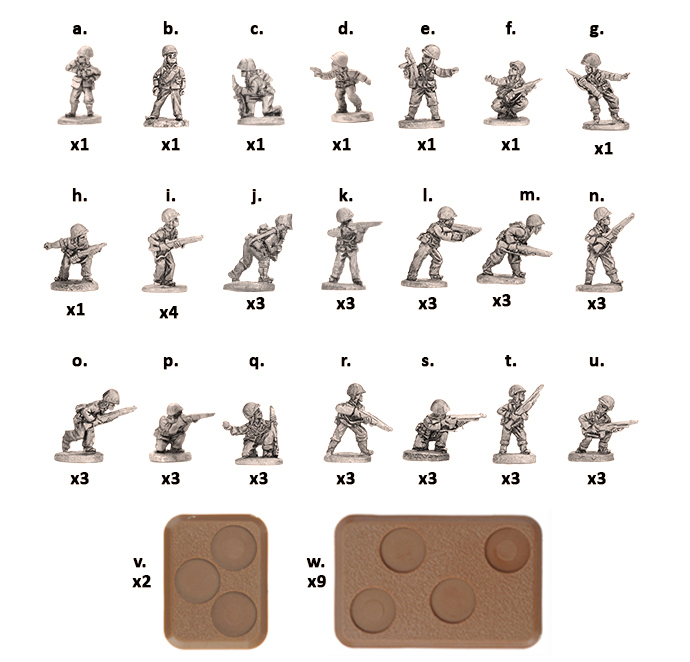 Feel free to mix and match the officer, NCO and rifleman figures to give each team its own unique combination of figure poses. 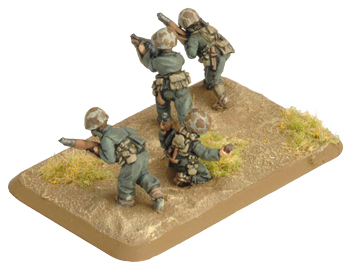 The Marine Rifle Platoon constists of three Rifle Squads. 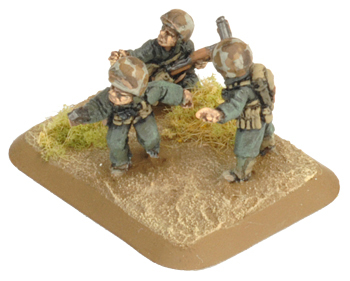 In each squad, one team should have an NCO (e – h) and three riflemen (i – r); the second team should have four riflemen (i – r); and one team out of each squad should have a BAR gunner (s – u) and and three riflemen (i – r). 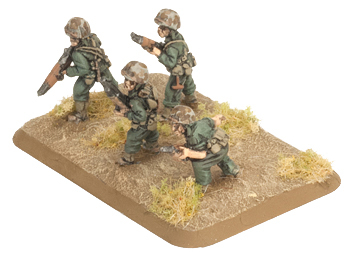 If you wish to show that your Rifle teams have been upgraded to BAR teams, you can include a BAR gunner figure on every base in each Rifle Squad, in place of a rifleman – a total of three BARs per Rifle Squad. 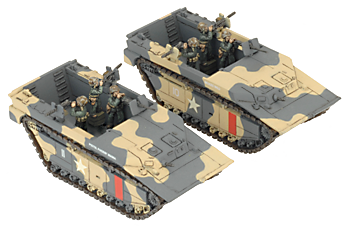 You can add an Amphibian Tractor Section so your Marines can ride into battle.